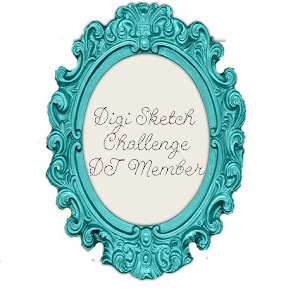 Well, it's Sunday and it's time for another Ditzie Digi Design Challenge. Firstly, I would like to thank you all for joining in over the past fortnight, your entries were fantastic, and I enjoyed all your blogs that I visited, but, there has to be a Winner. Check over at Ditzie Digi Design Challenge for the Winners. We have got the most amazing Host this fortnight, and it's Shell and she has picked a theme of 'Anything Goes', it is going to be Anything Goes for every Challenge. Cute Card Thursday Challenge - Challenge #321 - Handmade Embellishments! Crafts 4 Eternity Challenge - Challenge R#176 - To Die For! Lovely color scheme and such a fabulous design. Great image! Thanks for joining our "May Flowers" -challenge at Charisma Cardz. Beautiful ! 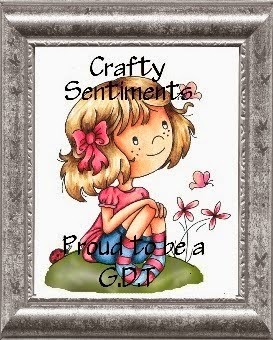 Thanks for joinning us at Craft 4 Eternity and Good Luck ! !